Men and women serving overseas will have a chance to meet and talk with some of the worlds most renowned aviators, thanks to a tour being put together by Armed Forces Entertainment, in association with Morale Entertainment and American Airlines. The "Legends of Aerospace" Tour is heading out to bolster troop morale next month. This tour will bring Americans, including famous aviators and astronauts, to visit our military stationed in Europe and Southwest Asia. 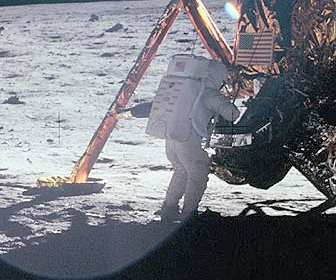 Confirmed participants include Neil Armstrong and Gene Cernan, the first and last men on the moon; Captain Jim Lovell, Commander of Apollo 13; Bob Gilliland, test pilot and the first man ever to fly the SR-71 Blackbird, known to be the fastest and highest-flying production aircraft in the world; and General Steve Ritchie (Ret), the last Air Force Pilot Ace. Also traveling on the "Legends of Aerospace" Tour will be two outstanding media legends: David Hartman, first host of Good Morning America, who will be the moderator for the panel discussions; and Jeffrey Kluger, senior writer with TIME Magazine. Kluger and Lovell co-wrote Lost Moon, the book on which Ron Howard's movie Apollo 13 is based. Captain Jim Lovell, commander of Apollo 13, said of the upcoming tour: "I have been waiting my whole life for this opportunity to meet with our service men and women on the front lines. They are the real heroes. I'm truly looking forward to thanking them for their service in person and share some of my experiences with adversity during Apollo 13. I'm sure it's going to be an extraordinary experience." "The United States servicemen and women put their lives on the line every day to ensure our freedom here at home," said Captain Steve Blankenship, Managing Director -- Veterans Initiatives at American Airlines. "In association with some of the nation's most revered aerospace legends, all of us at American Airlines are honored to partner with the 'Legends of Aerospace' Tour to help bring these great Americans overseas to connect with our troops as they protect our nation's freedom." During the tour, 30-40 minute panel discussions will be conducted in auditorium settings on military bases and naval vessels, with David Hartman as the host of the program. Panel discussions will be followed by an opportunity for meet and greets, photographs, etc. The Legends also will have an opportunity to visit with wounded troops at Landstuhl Regional Medical Center. "The troops serving downrange and their families are always happy to get a little taste of home while serving overseas," said Captain (USMC) Jamie Fleischhacker, Circuit Manager with Armed Forces Entertainment, who will be coordinating the tour. "And nothing says 'America' more than bringing together for our men and women in uniform these amazing legends who have each served their country so honorably." The tour will log more than 15,000 flight miles, with tour sponsor American Airlines providing round-trip, trans-Atlantic transportation for tour participants. The Legends expect to meet with more than 10,000 troops, give away thousands of items, give motivational speeches and have numerous meet and greets with troops. Armed Forces Entertainment is the official Department of Defense agency providing entertainment for American troops stationed around the world.